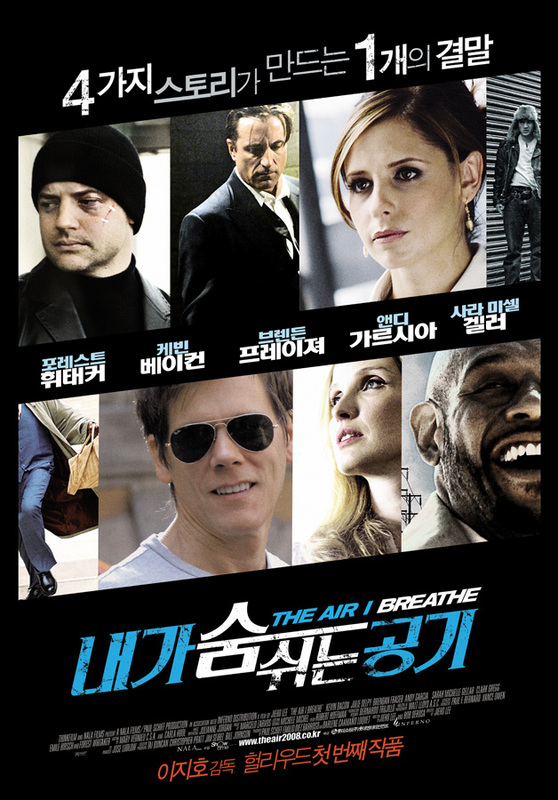 First of all, ‘The Air I Breathe’ is causing quite a stir in Korea, primarily because the director, Lee Jieho, is a Korean. A Korean-American, to be exact, but a Korean directing a Hollywood film nonetheless. Not even the Korean masters like Park Chan Wook has done that. Technically it’s not backed by any of the major film studios, but rather the shady sounding NALA Films. And no, they’re not inspired by Simba’s girlfriend from ‘The Lion King’; rather, the major backing comes from Mexico. But never mind all that. For all intents and purposes, it is a Hollywood film. Secondly, I know that the more common arrangement of Asian names places the family name after the first. But that’s the American way of doing things. It may work for them, but it’s not something I agree with. I still call football ‘football’, not ‘soccer’ (as even David Beckham is referring to it nowadays), and so I shall refer to the director as Lee Jieho (actually, the proper pronunciation is ‘Ee’; I have no idea why and where the extra ‘L’ comes from). And we’re not in America anyway. But Lee is. That makes him, and this film unique on so many levels. For a filmmaker making his feature film debut, he can’t have done much wrong to get the cast that he did. He got Forest Whittaker to work with him, for goodness sake. And Andy Garcia. And Brendan Fraser. Julie Delpy. Sarah Michelle Gellar. Kevin Bacon. Emile Hirsch (on course for superstardom, due to ‘Speed Racer’). An impressive line up that would light up any film. How brightly lit, then, is ‘Air’? To begin with, the press this film has had is shocking. As in, really, really bad. “What could go wrong?” I wondered, as I eagerly awaited the film’s release, when I got wind of the production. “A pretty interesting story, with a multitude of talented performers.” A lot, is the answer to the first question. As I mentioned before, knowing what makes a good movie and actually making a good movie are two completely different worlds. ‘Air’, then, is an unconventional movie because of the story, and the idea behind the story. Based on a Chinese saying that breaks down life into for emotions (happiness, pleasure, sorrow and love), it criss-crosses the paths of a multitude characters, with lasting and unexpected circumstances (kind of like Kabir Bhatia’s ‘Cinta’). The four emotions are represented through four nameless characters. 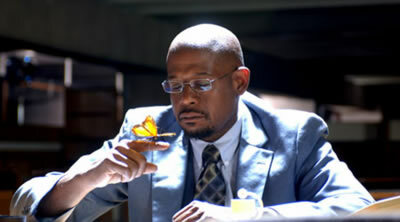 Happiness (Forest Whittaker) is actually really unhappy with his life, despite the safety that it allows. He wants more, much more, and because of that, literally and metaphorically bet his life on a horse race, with unexpected circumstances. Following that pattern is Pleasure (Brendan Fraser), who is, in fact, rather unpleasant: he works as a goon for Fingers (Andy Garcia). But he’s not just any goon; he’s a good who can see what the future holds. However, because of this ability, he is devoid of the simple pleasures in life that people get from the unexpected. That is, until, the unexpected happens when he sees a picture of Trista (Gellar), who is Sorrow. Though she is the only one of the four with a name, it is a stage name, rather than her real name, as she is a singer. There is a point of the film when Pleasure asks Sorrow of her real name. She whispered it into his ears, but we were not privy to that. And neither is Love (Kevin Bacon), who completes the quartet. Love is a doctor who is in love with his best friend’s wife. When she was bitten by a snake, he rushes to save her life, realising that only a blood transfusion with Sorrow (who has the same, rare blood type) will do. Confused? You should be. Earlier, I compared it to ‘Cinta’; however, ‘Air’ jumps all over the place in a more post-modern, avant-garde fashion. It makes for an interesting change, but you do end up spending half the time trying to figure out how the smaller pieces fit into the big picture. Standing alone, the shorter segments work much better, but put together, it runs the risk of becoming a mess if you’re not the type to remember things well. But that’s the mind speaking. Movies, it should be said, also should appeal to the heart. In essence, it should also make you feel. Looking at this from this point of view, the visual aesthetics of the film should be a key talking point, as Lee does manage to capture the heart with some astoundingly crafted cinematography. The scene with Sorrow standing on the rooftop is particularly striking. However, the modus operandi of the film is the Chinese proverb on the emotions, but with the exception of a few high class hookers (of which Kelly Hu is one of them), you don’t feel that there is something different about this film because of it. In fact, if the director had not mentioned it in his interviews, it would be another well-crafted film filled with wise sounding words that borders on its clichéd neighbour. As for the cast, none of them truly stand out for me. Kevin Bacon, long overdue a meaty leading role, didn’t quite get that here. Brendan Fraser, if anything, didn’t make me feel much for his character. He doesn’t do ‘the silent type’ well, as it turns out. I’d much rather see him kicking the asses of evil mummies. 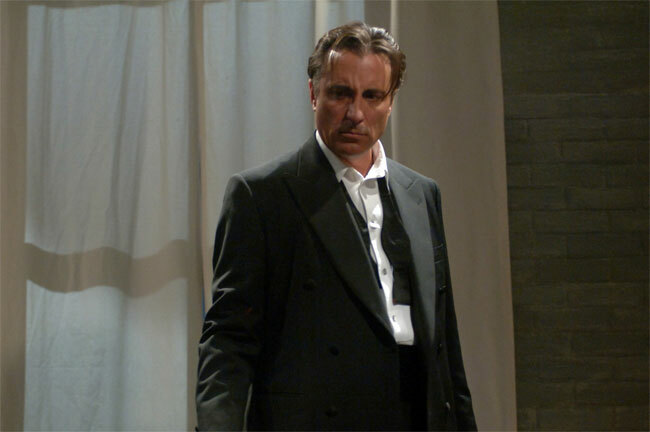 And Andy Garcia is…well, as you’d expect him to be. His intensity is jacked for this film, not unlike a coiled snake ready to make its move. This was probably what Terry Benedict in the ‘Ocean’ movies should have been like. Special mention has to go to Sarah Michelle Gellar, though. This is the first performance of hers I’ve seen since the end of ‘Buffy’ that did not make me think, “Hey, that’s Buffy,” 90% of the time. She brought something to the screen that I did not see before, and her ability to emote as Misery was one of the saving graces of the film. And as it turns out, one of the few, unfortunately. As a whole, Lee should be applauded for aiming and trying to achieve something that is ambitious, vast, and yet unconventional at the same time. However, there is the feeling that more thought, in terms of ensuring that the seams are stitched together, could have been given. The stellar cast. Though the parts, by themselves, work quite well by themselves, the logic of the story doesn’t match the level of the visual aesthetic, with some parts that just make you scratch your head. Happiness, early in the film, wondered about the butterfly when it leaves the cocoon. “Does it realise how beautiful it has become? Or does it still just see itself as a caterpillar?” The same could be said of this movie. It’s not a complete waste of time, mind you, given that there are indeed pluses to consider. On a while, however, perhaps this movie should have just stayed as a Chinese proverb. Fikri is more like an eagle than a butterfly.